Guiding Hospice is the only family owned and operated hospice agency in Central Texas. Regardless of ability to pay, Guiding Hospice does not refuse services to anyone. Our commitment to our community is one of our founding principles and we will promise to always be there for you and your family. Our Community Bereavement Program is available to anyone in the community whom have lost a love one. You do not have to be on our services nor have received them in the past. This is a service provided at no cost to ensure every member of our community receives the support they need. All of our programs were built by Hospice clinicians. We are ever evolving and looking for ways to improve our outcomes through weekly Quality Assurance and Performance Improvement meetings. We empower our employees to think outside of the box with new and innovative ways to deliver services. Our mission at Guiding is to empower and support each other through inspiration, compassion and empathy resulting in an industry leading excellence delivered to our patients and their families. Guiding Hospice is a locally owned and operated company. We are a non-corporate, non-investor owned agency enabling our staff members to incorporate their personal values, commitment, and visions into their work. Our vision is to create an industry movement through agency practices while defining an internal culture that fosters communication, collaboration and cohesiveness. Patient services are provided without regard to race, color, religion, age, gender, sexual orientation, disability (mental or physical), communicable disease, or place of natural origin. 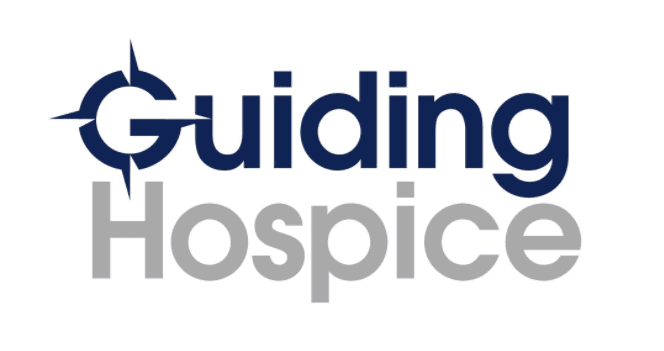 Please ask a member of our staff about Guiding Hospice. Accept nothing but excellence from each other. Hold ourselves and other accountable. Consistent cultural investment in our workforce. Direct, open and honest communication. Respect the views and values of others, inside and outside of the agency. Ensure that our actions are congruent with our words. No fine print. Transparency with our staff, patients and their families.